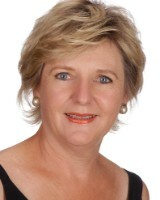 Freda van der Merwe (CEA) has been working as an Estate Agent in the Faerie Glen area since 1987 and has won many awards through the years for her excellent client service and sales excellence. She worked with Remax for 8 years after starting her career with Seeff properties. She was also a member of the Remax Platinum Club as well as the Chairman’s Club and has won the Hall of Fame award as well as the Lifetime Achievement Award from Remax International. Freda is also part of the PA Property Professional Club, for which less than 5% of all estate agents country-wide qualify.